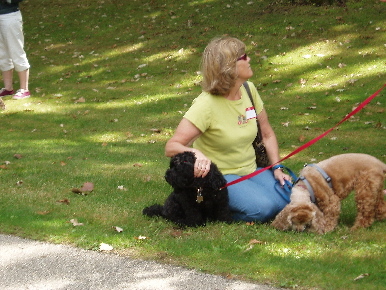 This page has additional photos of some of the people and dogs who made our day so special. 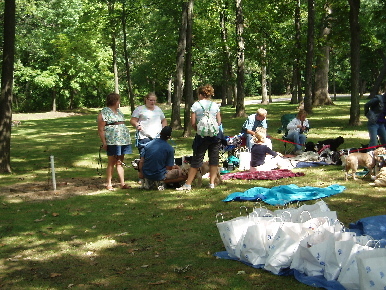 This photo was taken early in the morning the day of the Walk. 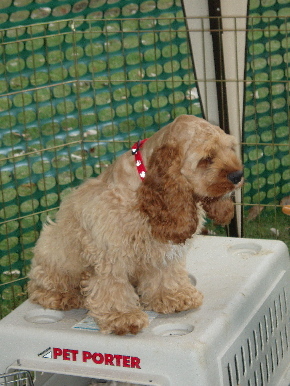 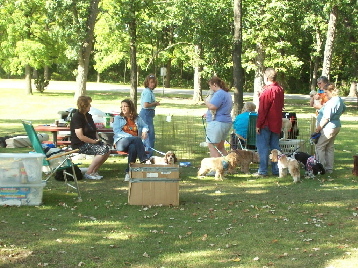 SCR volunteers are meeting Lola's puppies. 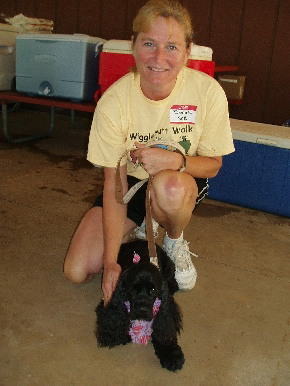 SCR Adoptable, Captain081, stealing Volunteer, Kathy Henricks' heart. 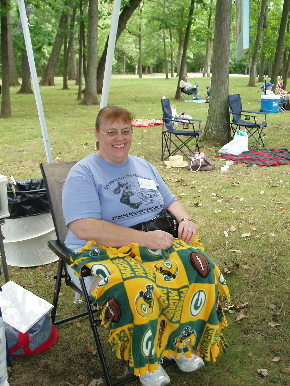 Volunteer, Kris Hodge, ready for the business in the Raffles Area. 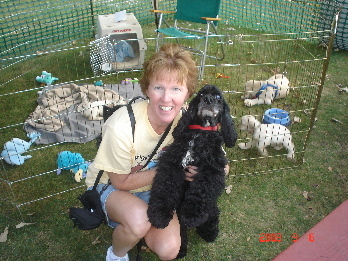 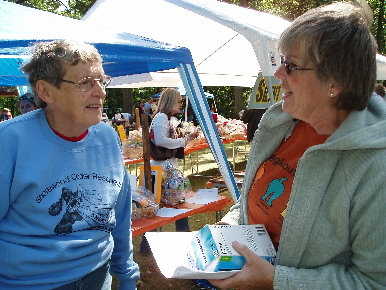 Volunteer, Donna Pfingsten, with a friend. 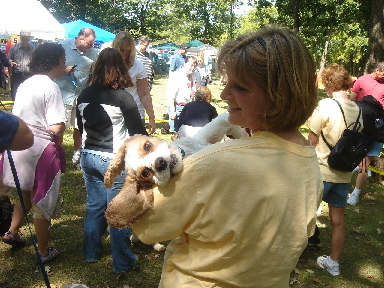 Future Adoptable, Toby, says Hope to see you all at next year's walk with my forever family! 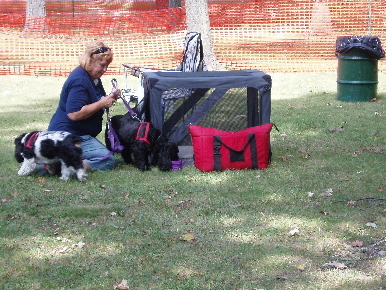 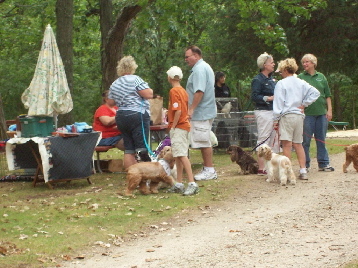 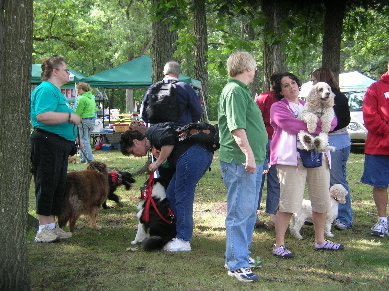 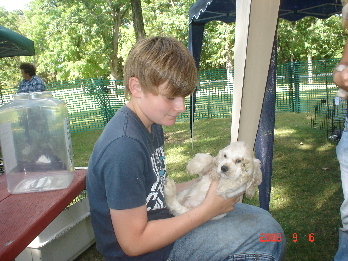 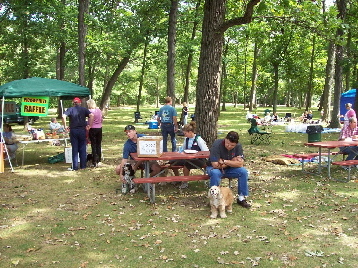 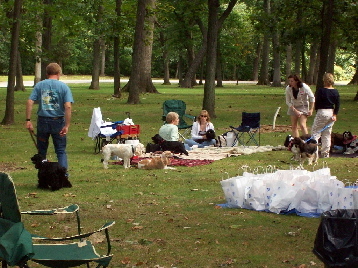 Hope you enjoyed the Photos for Wigglebutt Walk 2008.